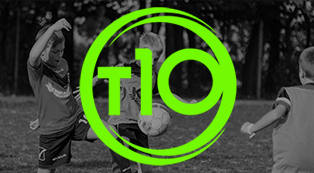 We love T10 Ltd and use them to deliver football, Multi sports & Gymnastcis coaching. We have received a very professional service from the team. The coaching team work really well with all our children aged 18 months - 4 years, engaging with them & motivating them to achieve, all of the classes at our nursery are very popular, and the children absolutely love the chance to learn new skills. T10 Ltd are a trusted provider and have given us a range of fantastic sports coaching. We have seen a number of nursery applications for Friday's due to the popular demand of Tiny 10's Football Club! We find the staff from T10 reliable and the passion for their work really shines through. Head office are always very helpful and a pleasure to do business with. T10 Nursery & Pre School Sports Clubs & Classes provide the number one sports coaching service in Surrey, London, Sussex and Kent for the Nursery & Pre-school sector with our Tiny 10's Multi Sports, Football and Gymnastic's programmes for children aged 2 - 4 years. T10 founders have 30 plus years experience in the Childcare Recruitment & Sports Education/Coaching sector's, from this experience T10 have created our own age specific programmes following the E.Y.F.S. framework to benefit both the children and T10 Nursery clientele. Each Tiny 10's programme aims to develop physical literacy and key motor skills whilst promoting add-on skills such as listening, following instructions and the abillity to adapt to a new personality (the T10 coach) within the Nursery setting. T10's exciting Nursery sports programmes will enhance any Nursery or Pre School's weekly timetable , attracting new prospective parent's & children to your Nursery/Pre School and rewarding current clientele. It's simple to set up and easy to manage as T10 Head Office manage all admin & payments seamlessly. The best part is this service doesn't need to cost the nursery a penny through our parent funded option. So whether you are looking for weekly classes to truly benefit your children, or if you are looking to book ad-hoc experiences, we have packages and partnerships to suit you! A fun filled gymnastics course using a variety of movements to improve key motor skills. This course gives children the opportunity to gain confidence to try new skills. Children enjoy moving to the music whilst in a safe environment and displaying their new found talents to family and friends. An action packed Allsports course that allows your little athlete to experience a variety of sports! Children will enjoy being introduced to sports they may not have tried before and learning skills whilst having fun! Introducing sports into a child's routine as early as possible is highly beneficial for their development and attitude towards sport. Sports include : Football, Dodgeball, Cricket and more. Football is a top favourite sport here in the UK so why not introduce your budding little Ronaldo now. Our classes ensure children receive more touches of the ball and quickly improve their skill and technique in preparation for mini matches in the school playground. More importantly they will look forward to tackling dad on his return from work!